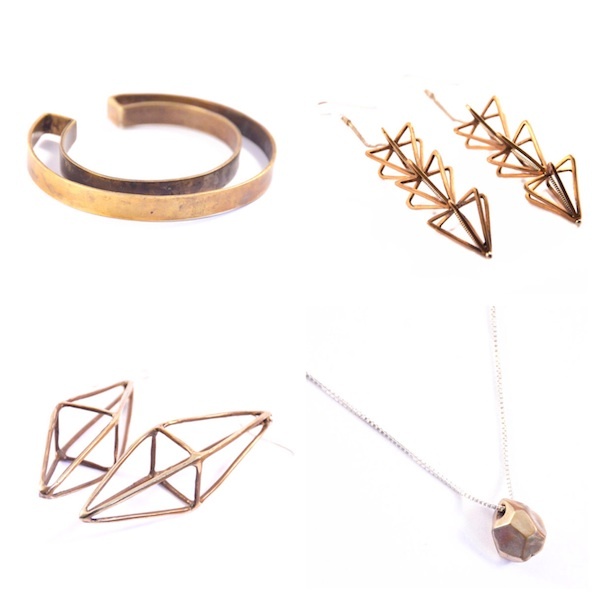 Lately, I've been enjoying minimalist jewelry, and I have a particular affinity toward bronze, geometric styles. I find the look effortless and simple, goes with anything, and makes a creative and fashionable statement. First on my list to snap up are items by Mikinora, an Italian line that sells work on Etsy, with everything under $200. I'm loving the unconventional Negative Space Cuff that sells for $94. The Octahedron earrings are bold statement pieces at three-inches long, as are the Triple Framed Cone earrings, while the Faceted necklace has a sweet, but modern look to it. Check out Mikinora jewelry here.